The majority of companies are implementing corporate fitness and wellness programs to improve the health, productivity and morale of the workplace. The result is reduce healthcare related costs achieved through behavior modification and lifestyle choices. FACTS Fitness provides Turnkey Operations which include all of the required services for operating a fitness center from management to administration and everything in between. Staffing: recruitment, training, scheduling, continuing education and substitution. 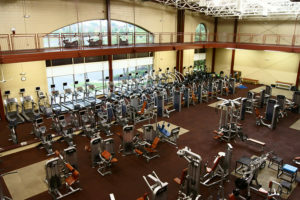 This includes the hiring and placement of managers, program directors, hourly staff, personal trainers and instructors. Procurement of outside vendors including cleaning, equipment maintenance and vendors. We have the expertise resources to ensure continuous operation and overall customer satisfaction. We will develop and administer ongoing health-related programs and member services for any size facility.